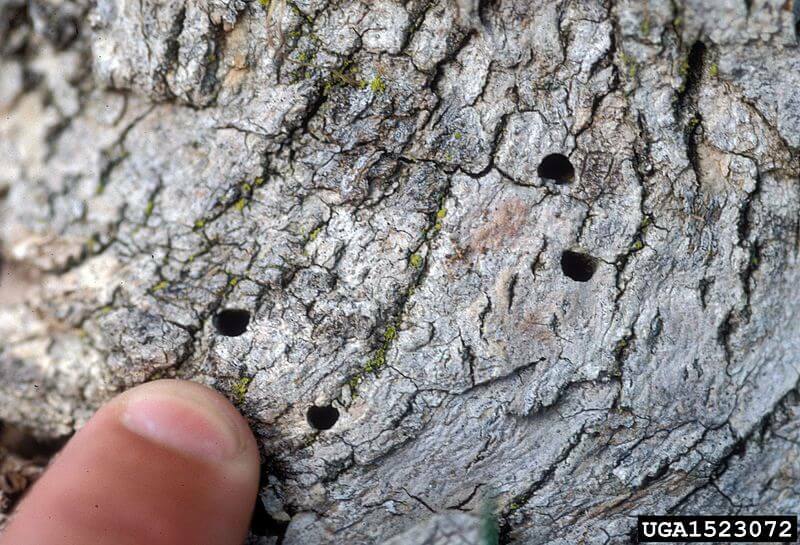 We drill multiple holes at a certain depth, then inject imicide into the tree. The transpiration of the tree coupled with the pressure capsule injection allows the imicide to fully treat the entire tree. 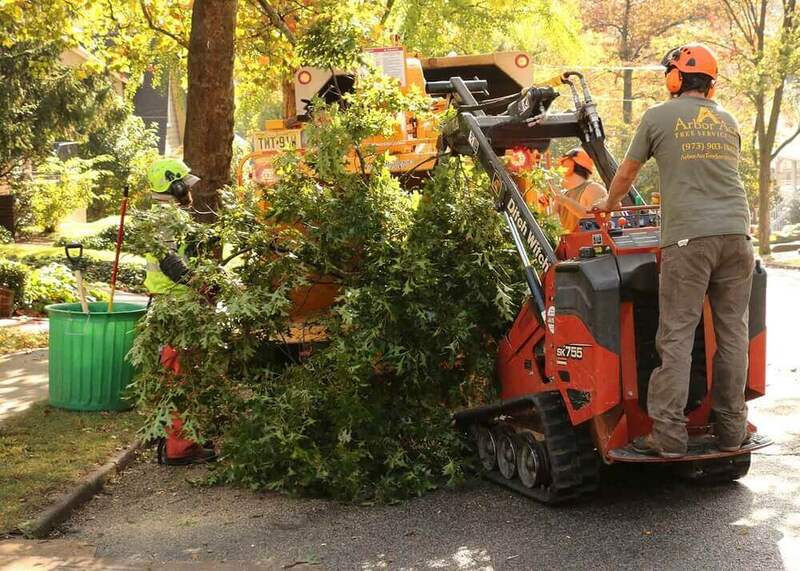 The treatment is done by a NJ Certified Tree Expert and Commercial Pesticide Applicator.  Early Detection is a key factor in the effective treatment of Emerald Ash Borer! A dark green, metallic bug shaped like a bullet, and it feeds on the leaves of ash trees. 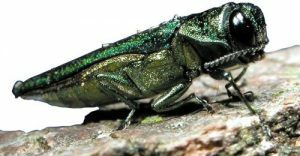 The Emerald Ash Borer(EAB) infestation is difficult to detect in the early stages, but the damage can be severe if not prevented properly. EABs were not identified in America until 2002, and has been characterized as the most invasive forest insect to invade North America. 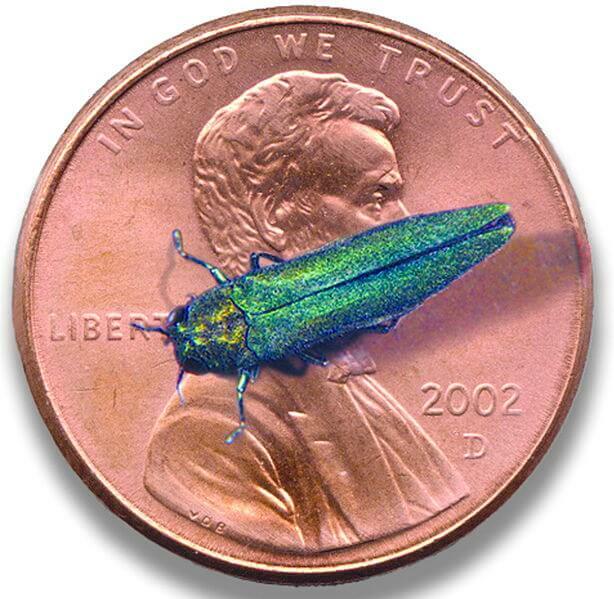 Since the discovery of the EAB, it is estimated that the insect has killed hundreds of millions of ash trees.